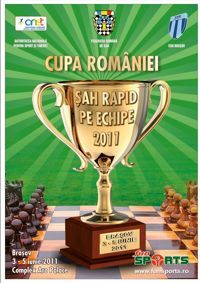 Our team, Politehnica Iasi, came on the second place. 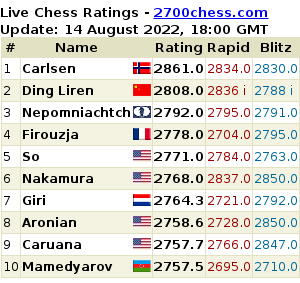 The final standings can be seen on chess-results. Underneath you have a brief overview. In the women section, CS AEM Luxten Timisoara finished first, with the same number of points as our team, Politehnica Iasi, but with a better tiebreak. More details about the women competition can be found on chess-results. 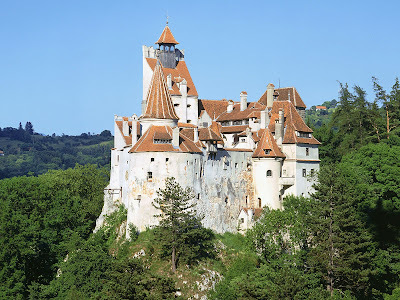 And now, if you allow me to do so, I would happily go back to the beginning of this article: exploring a Romanian city, Brasov - "probably the best city in the world" - as the city campaign proudly shouts. Towering above town from the east is Mount Tâmpa, where Braşov's original defensive fortress was built. Many visitors go via the Tâmpa cable car offering stunning views from the top. Braşov's main landmark, just south of the Piaţa Sfatului (Council Square), is the Black Church, the largest Gothic church between Vienna and Istanbul and still used by German Lutherans today. Built between 1383 and 1480 (delayed by an Ottoman razing), its name comes from its appearance after a fire in 1689. This wide square is the heart of medieval Braşov. In the centre stands the 1420 council house (Casa Sfatului), topped by a Trumpeter's Tower, in which town councillors, known as centurions, would meet. Some locals swear the meeting is haunted; one worker there quit after 'hearing sounds'. Apparently the tower staged countless tortures, and the square outside supposedly staged the last witch burning in Europe. The Braşov Historical Museum is also located here. 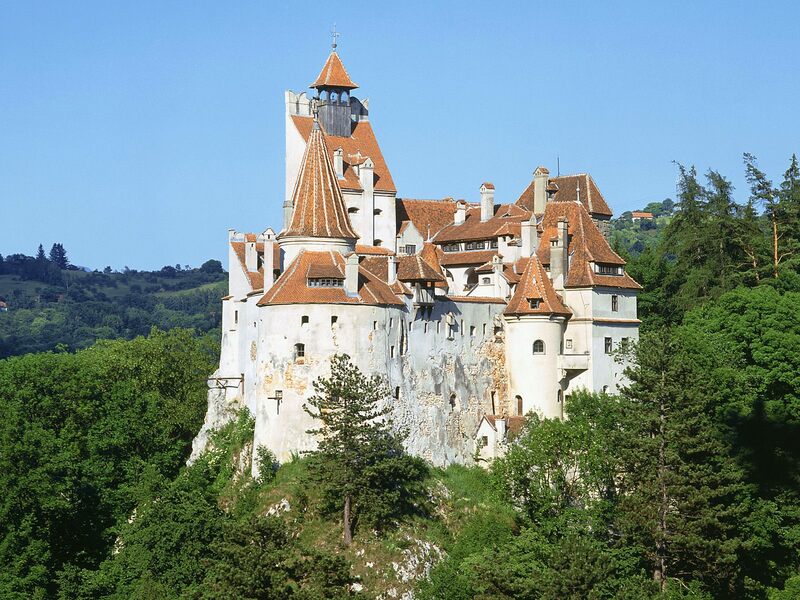 And this is only a small part of Romania...just 25 km from Brasov, you can visit the famous Dracula's Castle - Bran Castle. Of course we know that vampires don't exist (or do they?!) and that the castle itself is surrounded by myths and legends...You can read more about it here. Didn't see it though, not this time. I should also admit that I have never went there. That reminds me of what I said before, about seeing the beauties which are right there, in front of you! Probably I will discover one day...I've already started with Brasov. Check to louis vuitton replica see if your purse has a abject or basal that has been sewn on. Accurate Louis Vuitton purses are fabricated from one single, ceaseless breadth of covering or canvas. Look actual carefully at the seams of the purse. Are any of the "LV" cipher symbols cut off? Louis Vuitton never cuts into the "LV" on a cipher canvas item. Behindhand of breadth the abandoned cipher symbols arise on an item, they should all be whole. One accessible barring is on the Ellipse. Turn the backpack about and attending at the back. The chanel replica cipher symbols should be upside down. If they're not, the bag is not an accurate Louis Vuitton Cipher Canvas. Look at the handle of your purse. Louis Vuitton never covers the handle with tissue cardboard or plastic. Look central the bag. 18-carat Whiting and Davis accoutrements accept the signature Whiting and Davis lining. The lining of a Whiting and Davis bag is fabricated of the aforementioned top superior actual as the alfresco of the purse. Examine the superior of the bag. Whiting and Davis accoutrements are fabricated with high-quality metals and added materials. The metals abide of accurate aluminum, assumption and stainless steel. Added abstracts are 18-carat snake leather, Italian lambskin covering and satin. If the abstracts accept false, or the hermes outlet artefact is not put calm well, again it is not a 18-carat Whiting and Davis bag. Examine the accouterments on the bad. Speedy bags, behindhand of their color, abandoned accept assumption and gold hardware, not gold corrective accouterments and absolutely never argent hardware. Attending at the catch to ensure that it has "Louis Vuitton" engraved in all caps beneath the two foreground bolts. The zippers should aswell accept "LV" engraved in caps, addendum BagBliss.com. Find the baby covering fob activate blind from the larboard handle of prada replica the Speedy bag. You should see "#30" engraved into the leather, not printed. Gold or argent press denotes a bright fake.